Single tickets to performances in The Clayton Center’s 2014-15 performing arts season go on sale Monday, Aug. 25, at 10 am. The Palladian Series opens on Friday, Oct. 17, with the irreverent and irrepressible political satire of The Capitol Steps. 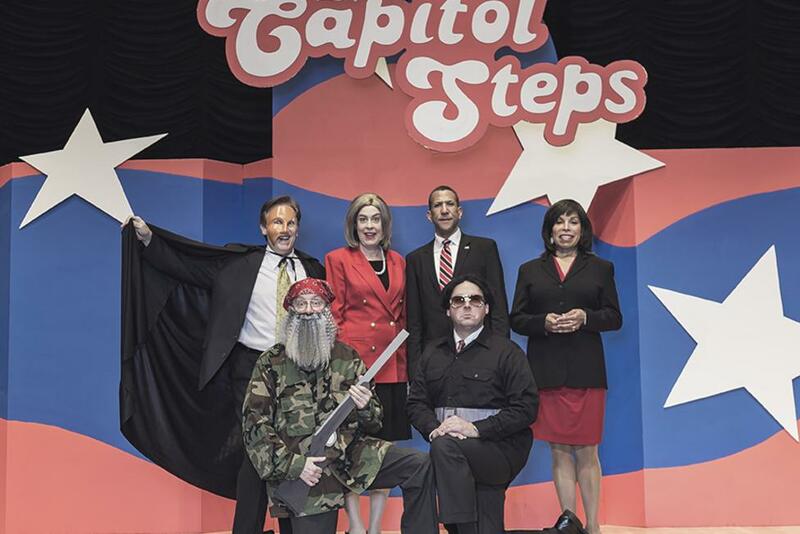 A Clayton favorite, the Capitol Steps return with their newest production How To Succeed In Congress Without Really Lying. Tickets are $35. 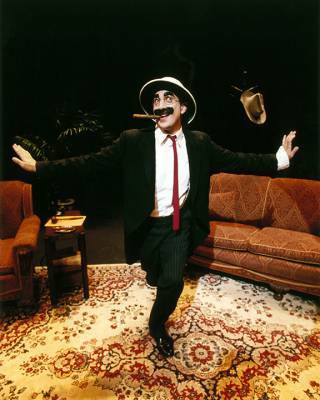 On Saturday, Nov. 1, The Clayton Center presents An Evening With Groucho, featuring award-winning actor, director and playwright Frank Ferrante. Ferrante recreates his PBS, New York and London acclaimed portrayal of legendary comedian Groucho Marx in this fast paced 90 minutes of hilarity. Tickets are $25. The Palladian Series continues on Saturday, Dec. 6, with Riders In The Sky, and Friday, Jan. 23, 2015, with the Grande Dame of storytelling, Jeanne Robertson. Tickets are $28 and $30, respectively. The Center heads into spring of 2015 with Yesterday & Today: The Interactive Beatles’ Experience on Friday, March 20. Tickets to this all-request concert are $25. The final show of the Palladian Series features the music of Jeremy Davis & The Fabulous Equinox Orchestra on Saturday, April 11. Tickets for this show are $30. The Clayton Center also will present native sons The Malpass Brothers, who hail from Goldsboro, NC, in a special event on Saturday, Feb. 7. Fans can see these incredibly talented musicians for just $20 per ticket. All events presented by The Clayton Center begin at 8 pm. For ticket prices and for more information on these shows, contact the Clayton Center box office by phone at 919-553-1737, or visit theclaytoncenter.com online. The Clayton Center is located at 111 E. Second St. in historic downtown Clayton. Box office hours are 10 am until noon and from 1 until 5 pm Monday through Friday. Other popular artists presented in past seasons at The Clayton Center include Kathy Mattea, Dianne Reeves, Ricky Skaggs, Johnny Winter, Jesse Cook, Doc Watson, Eileen Ivers, Tommy Emmanuel, Colin Hay, the Harlem Gospel Choir and David Sedaris. Jean Robertson video -- she is so funny....please don&apos;t miss her at The Clayton Center.